The stoic guy in the black suit is a dork who likes sweets? 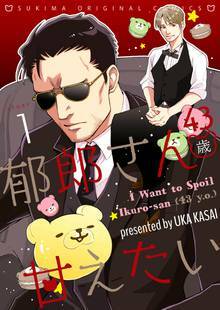 As a manager in a fancy cake cafe "Kuma Purin," I was told that liking manly things does not suit me. One day, this mysterious man with eyes like a killer came in front of my shop... It turned out he is a total opposite of myself!